ganetimgr needs a set of RAPI credentials to communicate with a cluster. These need to be created manually. The next steps need to be repeated for every cluster you wish to administer with ganetimgr. You can replace write with read so that ganetimgr can only view the cluster resources, but most of the ganetimgr functionality will be disabled. Select the cluster option from the Ganeti section. 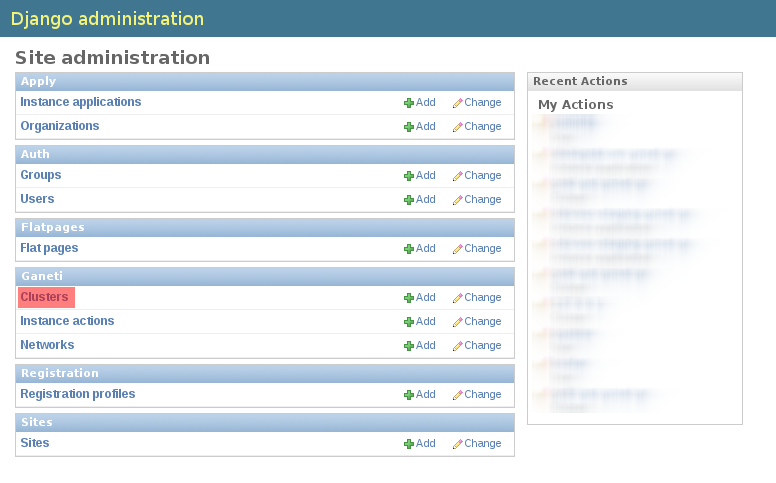 Fast instance creation is an option to submit instance creation requests through the admin interface instead of going through the normal application procedure. 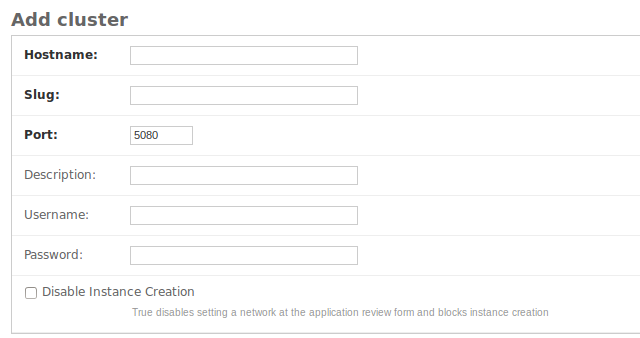 Cluster uses gnt-network is a soon to be deprecated option about network options for new instances. If you use routed networks (though gnt-network) this should be on. Link is the name of the network device found on the cluster. Mode is the network mode for the interface can be routed or bridged. 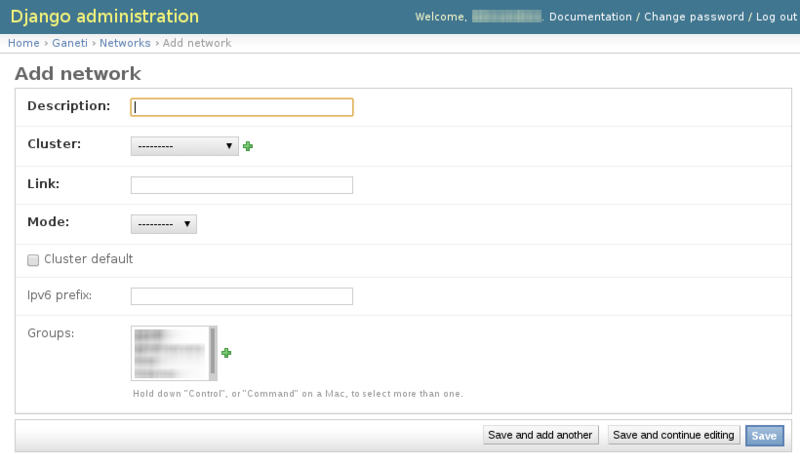 Groups ties the network to a specific user group. When a user from that group submits an application this network is autoselected. We have integrated oauth2 support. which fetches all the instances of the current user. Optionally the api user can pass a get parameter named ‘tag’ which filters all instances by the specific tag. by adding the access_token in the request to /instances/lists/?access_token=<token> you get a list of all the user instances. ganetimgr uses Django’s translation system. We have created translations in Greek. In order to create translations to another language you have to follow these instructions.